Creating a holistic digital marketing strategy can take months. Effectively executing the strategy after tweaks, minimal fails and multiple learning curves can take up to a year. One stage often omitted from this important plan is monitoring competition. 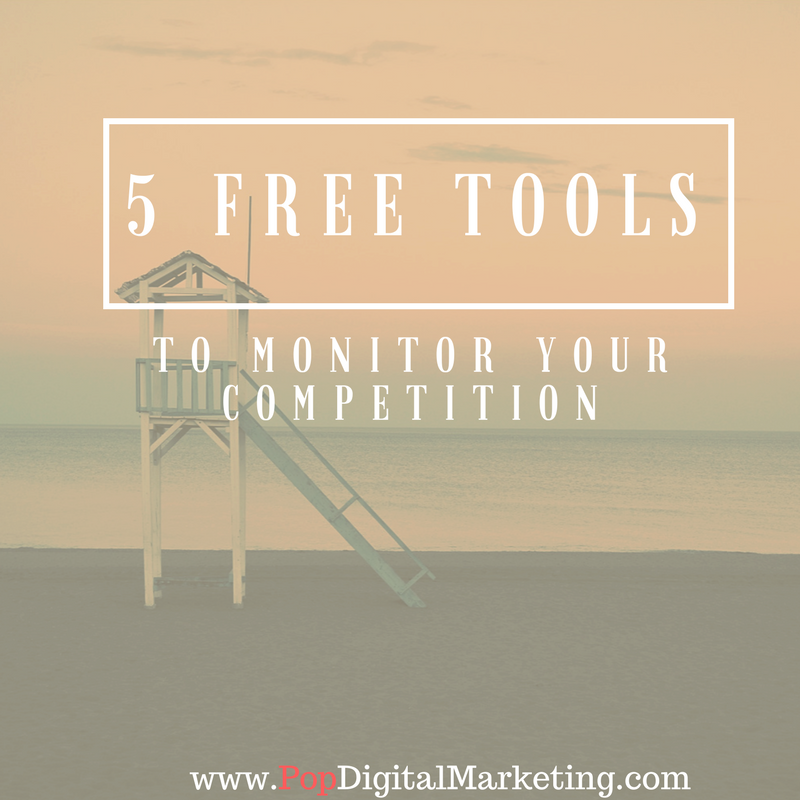 Watching your competitors online holds unparalleled benefits such as identifying market opportunities, connecting with companies you should be cross promoting, back-link insight, social listening and more. Google Alerts: One of the most underused tools, Google Alerts allows you to monitor the internet for “interesting content”. You can set up alerts for your industry keywords or even for mentions and articles on your competition. Google alerts lets you customize the email reports you receive by how often you’d like the notifications, type of sources, the origin of source, and languages. Use alerts to drive trending content ideas and see how well your competition is doing with PR. Facebook Pages: Facebook offers page admins the opportunity to “watch” competitor Facebook pages. To add a competitor page, simply go to your page insights, scroll to the bottom and type in the name of the business you’d like to watch. You can see the company’s follower growth, engagement and even the competitor’s top post from the past week. Alexa: Alexa is a brilliant tool that my company uses prior to working with any company to analyze their overall reach. It can also be used to analytically measure competition. You can see how the competitor’s website ranks globally, what keyword searches are driving traffic to the site, which pages generate the highest engagement, and which sites link to the competitor’s site. SEM Rush: SEM Rush offers great analytical reporting on all aspects of digital marketing performance. 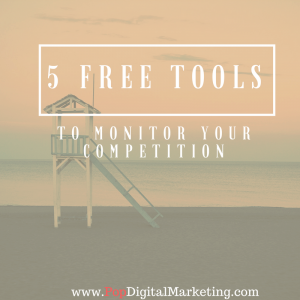 With a free account, you can see how your competition ranks, the keywords that generate high traffic, and even view their AdWords and video ad campaigns. Once you have all this data at your fingertips, it is time to utilize it wisely by crafting new campaigns. Contact websites that link to your competitors to build new relationships, start focusing on keywords that drive heavy traffic to your competition’s site, avoid social media snafu’s that failed on your competitors’ platforms, and contact your competitor’s dissatisfied customers through social listening. We have all heard of the wedding day traditions for wearing something old, something new, something borrowed and something blue. Originating from an old English rhyme, the 4 items a bride carries with her is supposed to bring her good luck. Transitioning into today’s digital age, we can actually leverage these 4 elements as a means of remembering some best practice strategies for top notch social media posts! For the bride, something old represents continuity. Psychologically, people prefer to see social media posts they are comfortable with and they can relate to from their past. This creates a sense of safeness. This explains why so many people love the “Throw Back Thursday” picture phenomenon. A great tip: post something exciting about an employee that has been with the company from the beginning to give your prospects a sense of your company’s stability. For the bride, something new offers optimism for the future. One the social media spectrum, posting something new positions your company as the thought leaders. When you are the first to post the latest events, products or news in your industry, it is your post that will get widely shared, commented on and “liked”. Furthermore, when you are posting about your company’s news and updates, you are demonstrating your company’s ability to provide top service or products by exposing its growth. For the bride, something borrowed symbolizes borrowed happiness. When it comes to social media, you too should be borrowing happiness and success. There is no need to re-invent the wheel. When you see another company’s digital marketing campaigns working well, borrow their strategy! While it’s always ideal to be the first, it may not always be practical. It is better to be on the right bus, even if you aren’t driving, than to not get on it at all. Tip: borrow a post but put your own unique spin on it by adding a call to action or a different opinion! For the bride, something blue stands for purity, love and fidelity. In social media we know that when a customer loves a post they become passionate to spread it. Every once in a while, post something controversial to incite engagement. Nothing attracts more shares and comments then the posts that hit a nerve, good or bad with followers! Use these 4 tactics in your social media strategy to ascertain your commitment to your followers and with time they will say ‘I Do’ to your services!